We’ve been featuring apples in our recipes this month, which has inspired us to Spotlight five of our favorite apple themed items from our web and online catalogs. From décor to foods, you can satisfy all of your apple needs with Sturbridge Yankee Workshop, and incorporate a little autumn charm in your home throughout the year. 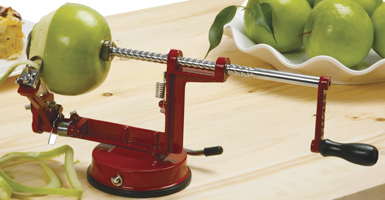 The first essential apple item is our Apple Master – an apple corer and peeler extraordinaire! This handy kitchen tool makes preparing apples much easier and simpler so you can make your pies, squares, muffins and other goodies more quickly and in a more organized fashion. The red color makes a decorative statement in any kitchen, especially during peak apple season. What will you do with all of those peeled apples? Browse through your recipes neatly stored in the Country Recipe Box and start baking! 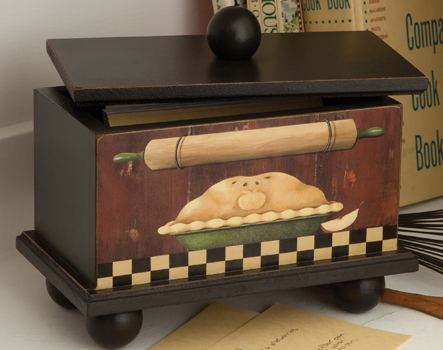 Featuring an appealing apple pie and country checks, this charming box keeps your favorite recipes in one place and gives your kitchen counters a cozy touch, especially when placed next to cook books and classic cooking accessories. 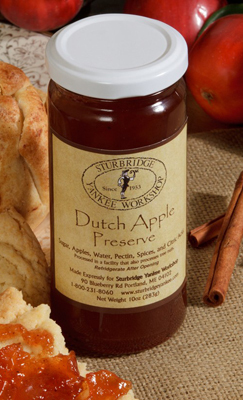 If you want to keep those apple treats at home but are looking for a similar gift for a family member or friend, we recommend our Dutch Apple Preserves. Made in New England with natural fruit and juices, these preserves are sure to please anyone with their subtle cinnamon flavor and refreshing apple base. 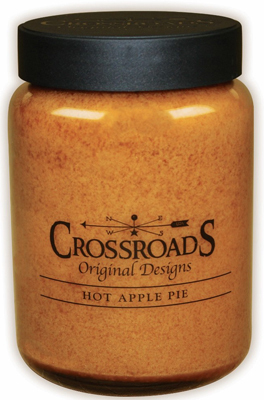 To keep your home smelling warm and like apples after your pies and baked goods have cooled, keep our Hot Apple Pie Jar Candle in any room for wafting scents of crisp apples, vanilla and cinnamon throughout the season. The candle’s burnt orange color also lends a complementary look to autumn décor and centerpieces for a festive look in your home. 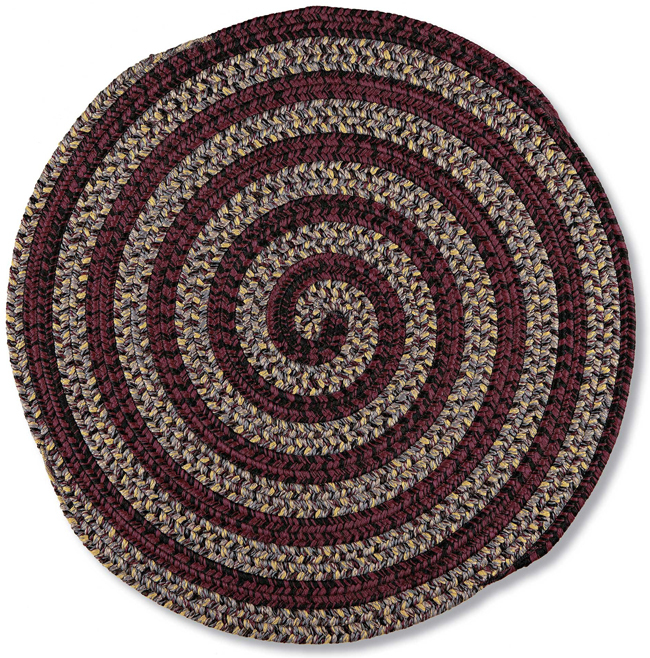 For added color in any room, our Autumn Round Jute Rug takes the simple charm of apples and adds to it festive burgundy, brown, orange and yellow tones, as well as unsuspecting teals that give this rug an added decorative punch. The apple wreath features not just this red fruit but pears, leaves, pine cones and berries that will give any room the fall flair it needs. The holidays are officially here at Sturbridge Yankee Workshop, and this week’s must-have items all look great during the fall season. While our last Must-Have post featured charming Halloween décor, this batch of necessities are a little more subtle, albeit they will add beautiful harvest flair to your home and favorite décor. 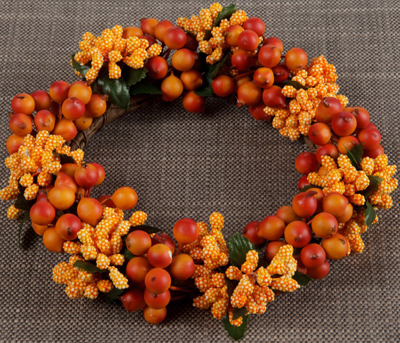 Fall wreaths may just be the prettiest wreaths of the entire year. 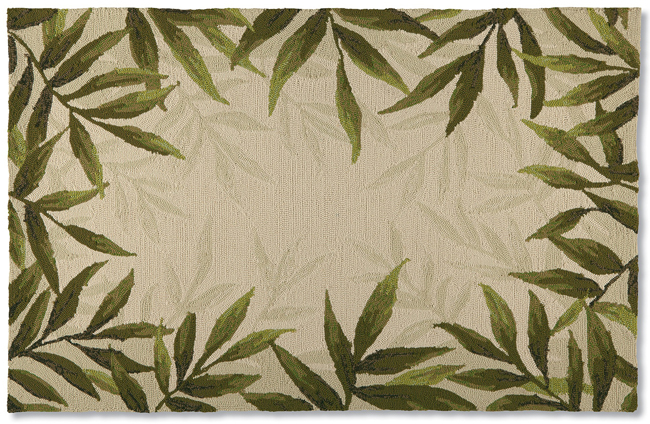 The warm colors and foliage create the most inviting look on your front porch or above a mantel. 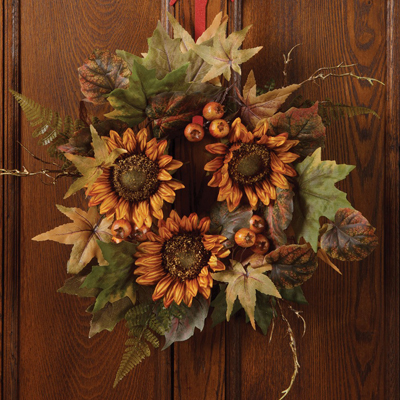 The Sunflowers & Leaves Wreath includes a hint of blossoming summertime with the flowery accents, while incorporating just-turning leaves in rustic colors. Its size and fullness make it the perfect home accent; one that you can leave displayed as long as you would like. 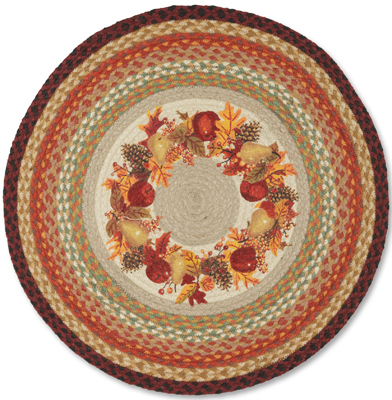 Speaking of fall wreaths, our Autumn Round Jute Rug features an inner ring of leaves, pinecones, fruit and other accents in rich colors of red, brown, golden yellow and orange. 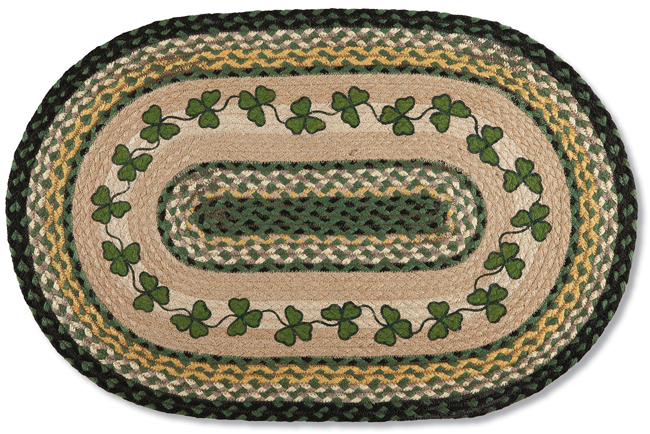 These are complemented by the beautiful, durable outer braids which warmly complete the rug. 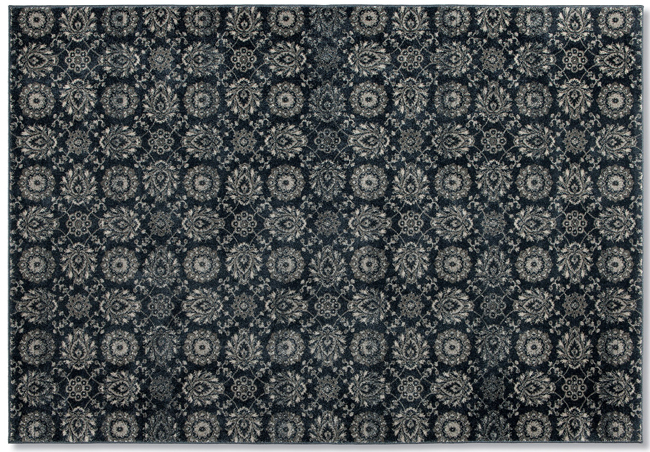 Perfect for an entryway, this is one of the most complementary harvest season rugs, and it can even be reversed in order to incorporate the colors into your home all year long. One of the best parts of the holiday season for us is spending more time with family around the dinner table, whether it is Thanksgiving, football Sunday or a traditional dinner during the week. 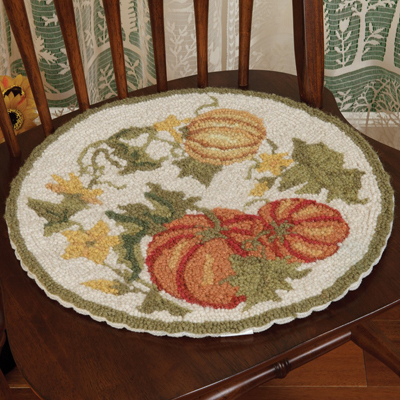 Our Pumpkins & Vines Chair Pad will enhance the spirit of the season in any dining room, whether there are people in there or not, and will add additional comfort to any seating arrangement. 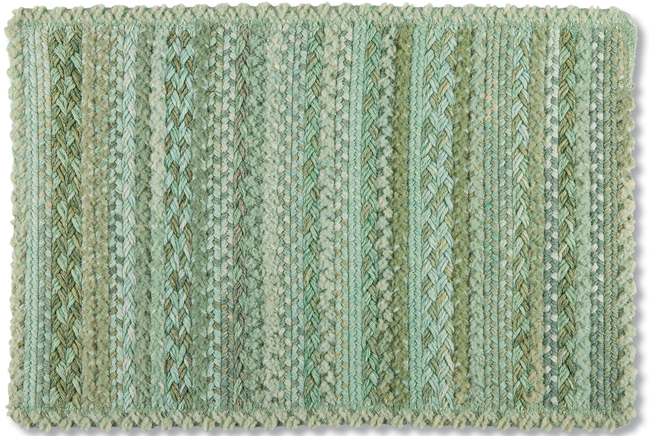 The classic hand hooked wool is a timeless favorite, and with complementary décor available this is the perfect piece to add to your home. We also love having candles around the house, and with our Autumn Berry Candle Ring any pillar candle can go from plain to sophisticated. Available in two sizes, these orange accents complement Halloween and harvest décor, and add a warm look to year round décor throughout your home. They make excellent additions to centerpieces, mantels and bookshelf displays, and won’t take up a lot of room if you don’t have very much to spare. Although simple string lights look beautiful throughout the year, our Copper Wire LED Lights feature an autumn-like touch with the wire’s color. 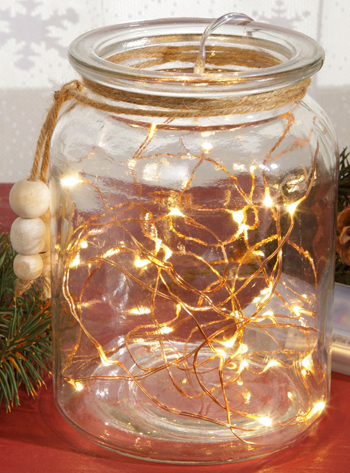 These battery operated lights fit in various sized jars for an illuminating look, and can be incorporated into a fall wreath or mantel display to enhance an inviting appearance. The length is just perfect for your satisfaction, and the bendable wire adds to easy shaping for almost any harvest display.